Our ability to identify species and pathogens using DNA based tests is rapidly advancing, and these new tools have the potential to revolutionize the way the we understand and manage disease in wildlife species. Detection and identification of free DNA shed by species in water--known as environmental DNA or eDNA--- can greatly reduce the time and money needed to map and monitor both the species and the diseases that impact them. In the initial phase of the project, water samples will be filtered and test amphibians taken from artificial ponds to detect and follow ranavirus as it cycles through the population. 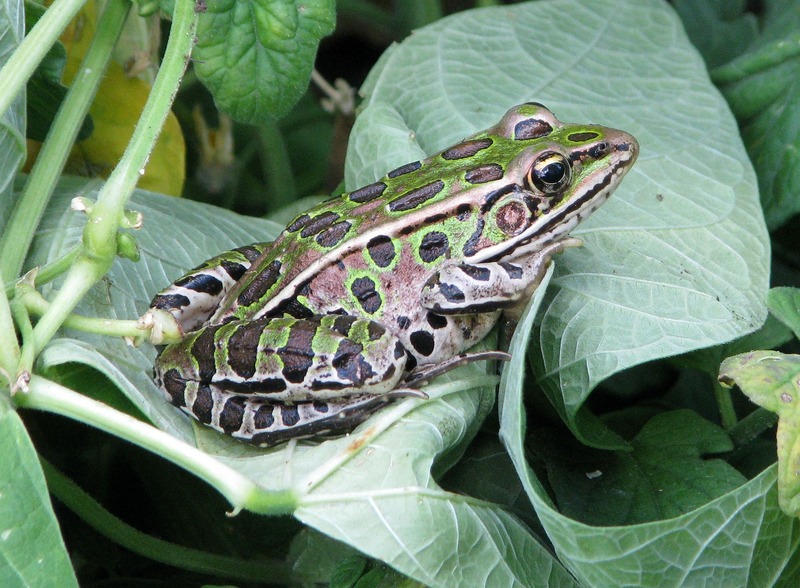 Highly lethal ranavirus outbreaks in amphibians occur rapidly and unpredictably, and it can be difficult to document the occurrence through traditional individual animal testing. eDNA sampling has the advantage of capturing a snapshot of all DNA present at the time of sampling and it reduces the need for testing individual animals for disease surveillance or identification. Successful creation of reliable eDNA surveillance techniques for ranavirus will allow us to better monitor and track outbreaks in real-time, as well as determine the geographic distribution, seasonality and species affected on a landscape scale. In the next phase of the project, we will develop eDNA protocols to identify a number of hard to find cryptic amphibian species in New York. These tools can then be used to create more accurate maps and protect habitat for species of conservation concern. Through a grant from NYSDEC, our program partnered with the laboratory of Matt Hare in the Department of Natural Resources at Cornell and Jim Gibbs at the SUNY College of Environmental Science and Forestry to develop eDNA tools for detection of ranavirus as well as a number of amphibian species of concern in New York. Once these eDNA tools are developed, NYSDEC will be able to submit samples to our laboratory to determine the presence or absence of these species from water samples, improving species distribution information while reducing staff time and effort. Graduate student, Alyssa Wetterau, completed the first phase of the eDNA project in March 2017. 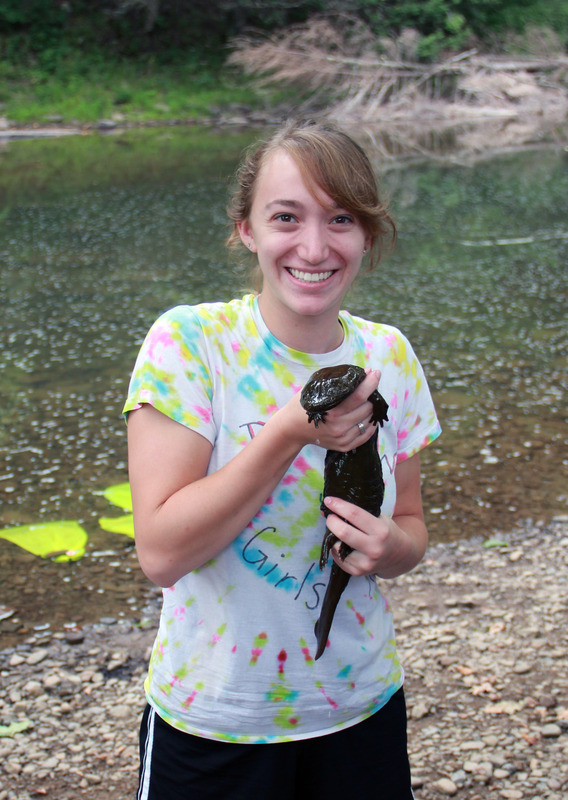 By analyzing tadpoles and matched water samples from spring to fall in a group of experimental ponds, she documented ranavirus infections in the tadpoles and was able to develop an eDNA assay for the virus in water samples. Interestingly, ranavirus levels in the water samples persisted long after the infection was gone from the tadpoles and at high levels through the fall. In the next phase of the project, she will work with a citizen science program at Cornell’s Aquatic Animal Health Lab to collect water samples around the state that will be tested for eDNA of priority amphibian species.